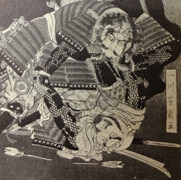 Yoroi-kumiuchi a detail of a print by YoshikazuShowing a Samurai who has broken his sword in battle and has overpowered his armed opponent using an empty hand technique. Aikido was born out of an ancient martial art called Aiki Jujutsu which can be traced back to over a thousand years. 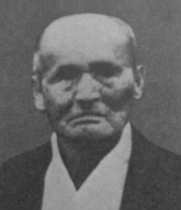 In modern times Takeda Sensei passed the Aiki Jujutsu art onto Ueshiba Sensei. 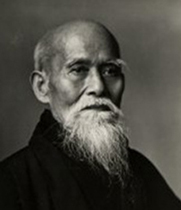 At a later date Ueshiba Sensei changed the Art into what we now know as Aikido. 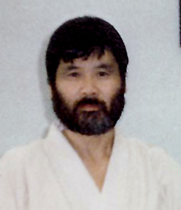 Sugano Sensei, a direct student of Ueshiba Sensei, came to Australia in 1965 to teach Aikido. 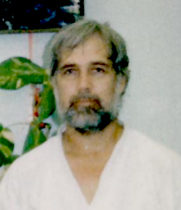 It was at this time that Barnes Sensei, already a Judo/Aikido instructor in Darwin, became a student of Sugano Sensei. Prior to starting your training you are required to attend the Dojo and watch a full lesson. If after watching the lesson you wish to become a member you will be required initially to become a probationary member to better understand what commitment the training requires of you; and it is at this time you will be provided with further information regarding fees and obligations required of you when joinning the school.